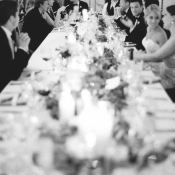 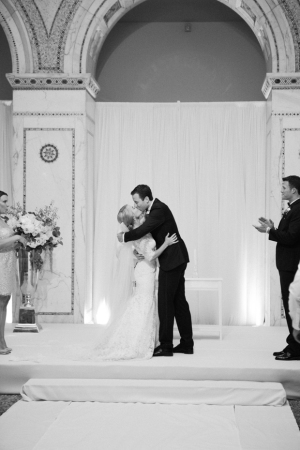 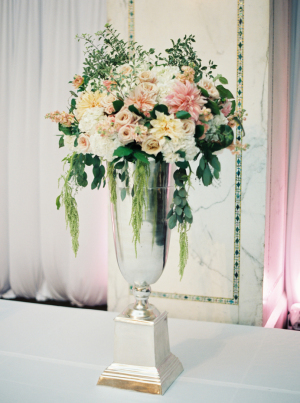 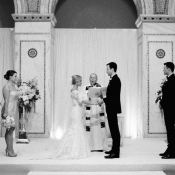 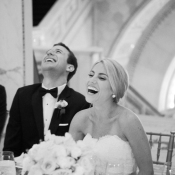 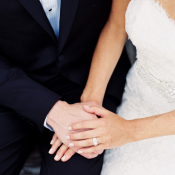 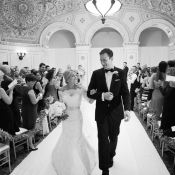 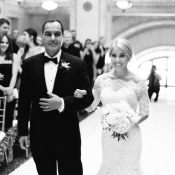 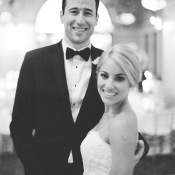 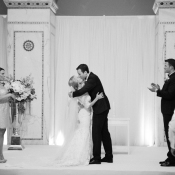 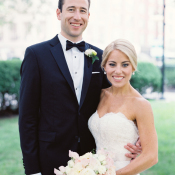 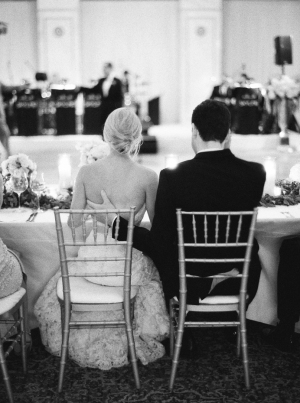 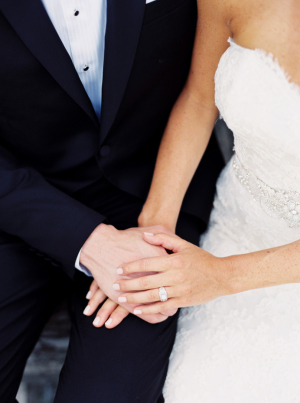 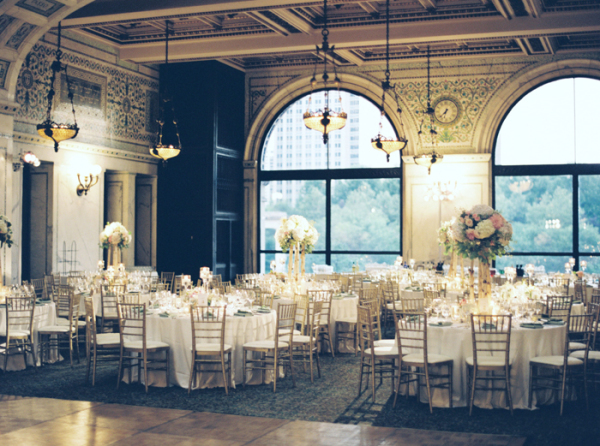 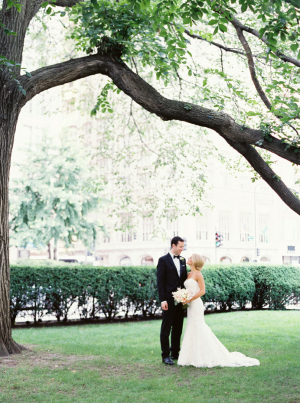 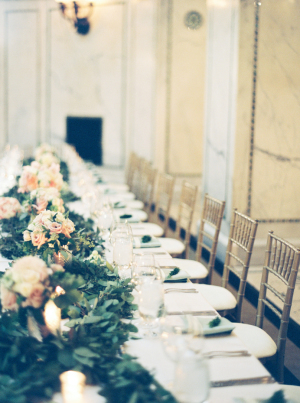 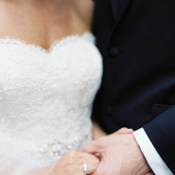 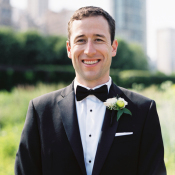 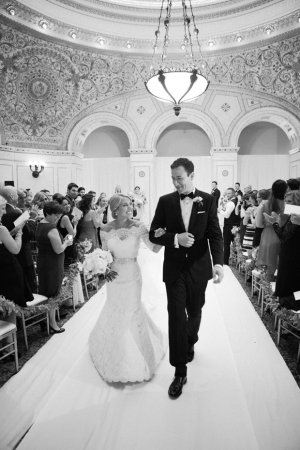 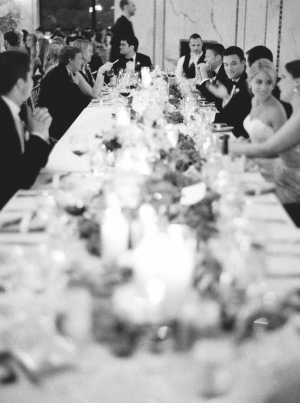 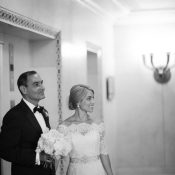 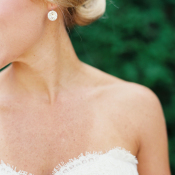 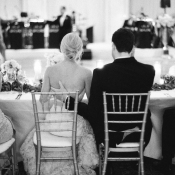 Colleen and Mark’s Chicago wedding is indescribably elegant. 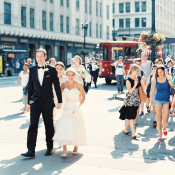 At no time is the city more beautiful than in the summer, and the gorgeous day was a perfect complement to the gorgeous couple and their wedding party. 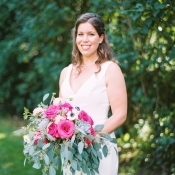 Colleen is resplendent in a lace Ines Di Santo gown from Dimitras Bridal Couture, and her maids donned chic champagne Jenny Yoo Social Collection gowns. 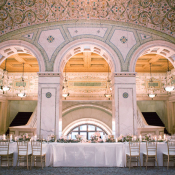 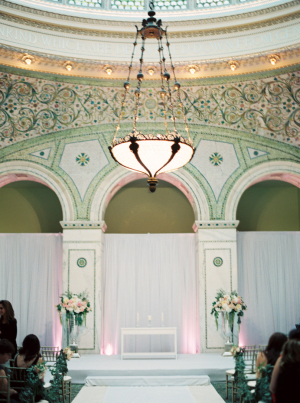 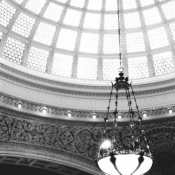 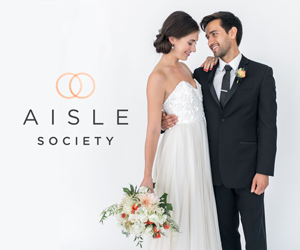 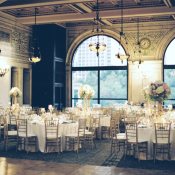 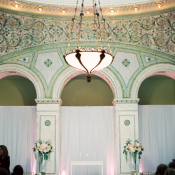 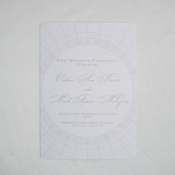 The extraordinary Preston Bradley room of the Chicago Cultural Center was the setting for their July nuptials, and the architectural gem’s Tiffany Dome was incorporated into the custom stationery by Magnificent Milestones. 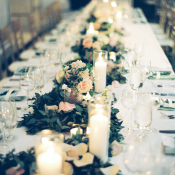 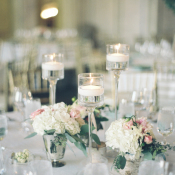 A mix of lush teacup florals and elegant garland-style centerpieces with a sea of candles by Exquisite Designs adorned the tables. 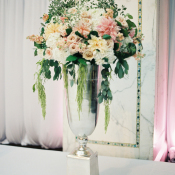 The fabulous Lori Stephenson of LOLA Event Productions went above and beyond to both curate the details of the day and insure the event with off without a hitch, right down to duct taping the floor when the jubilant reception dancing literally cracked it open! 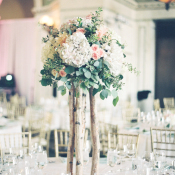 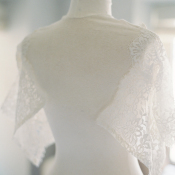 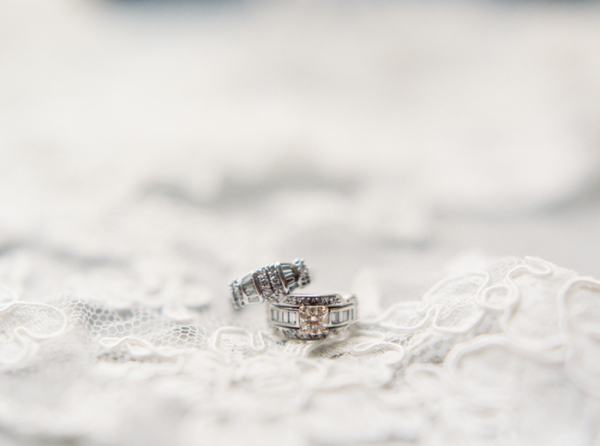 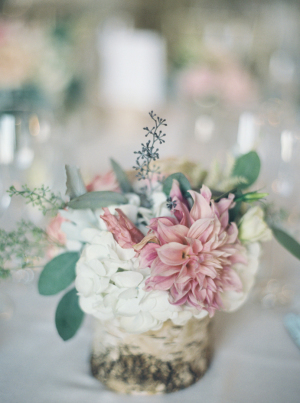 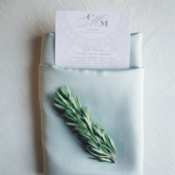 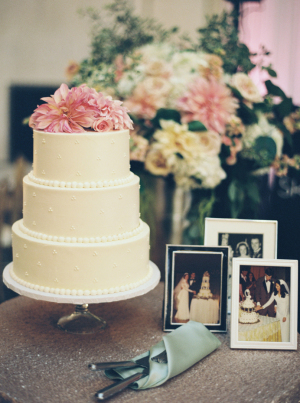 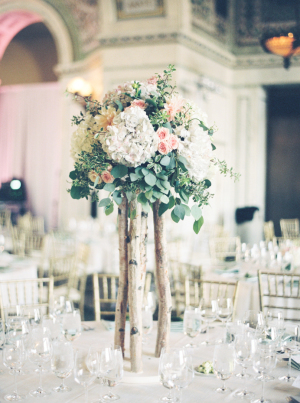 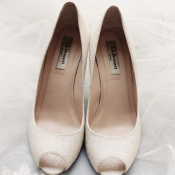 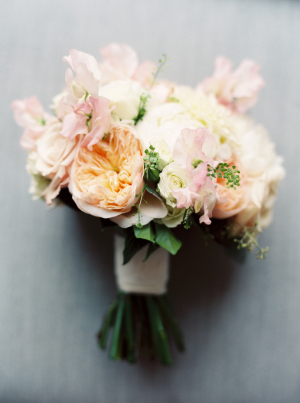 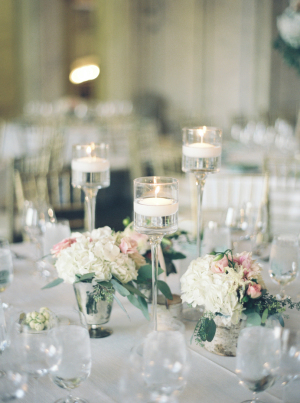 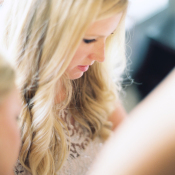 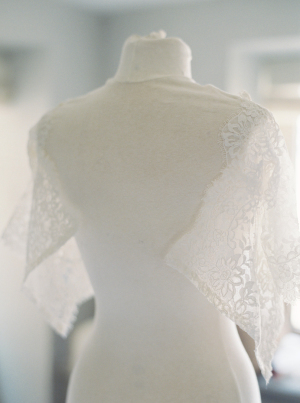 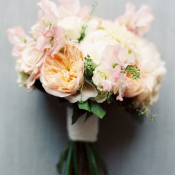 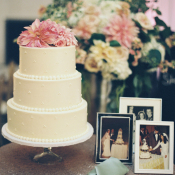 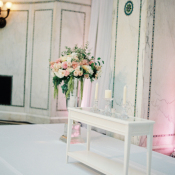 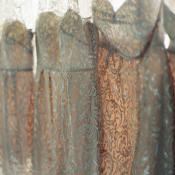 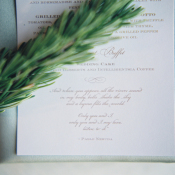 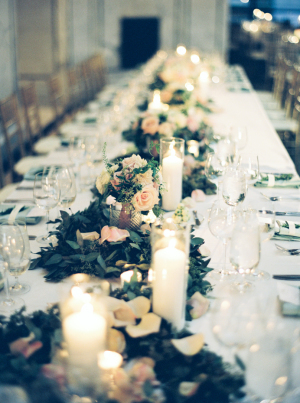 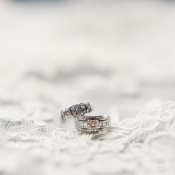 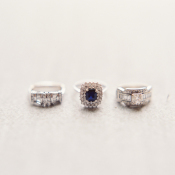 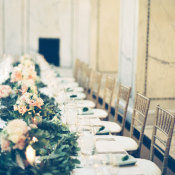 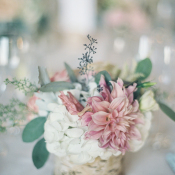 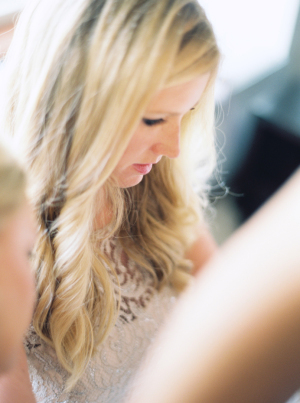 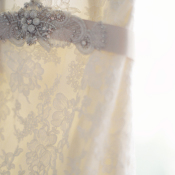 We adore each of these soft and lovely images from Annie Parish Photography!